Russia and France are preparing for celebrations of the 300th anniversary of Emperor Peter the Great’s visit to Paris, Russian ambassador in France Alexander Orlov said in an interview with TASS. "This visit in April-June 1717 resulted in the establishment of regular diplomatic ties, and our countries will together celebrate its 300th anniversary," Orlov said, adding that the program of the celebrations includes a congress in Paris and an exhibition in Versailles. He said the congress will be organized by the Russian Culture Ministry, the Hermitage and other leading museums and institutions, as well as the Sorbonne University and the French National Center for Scientific Research (CNRS). 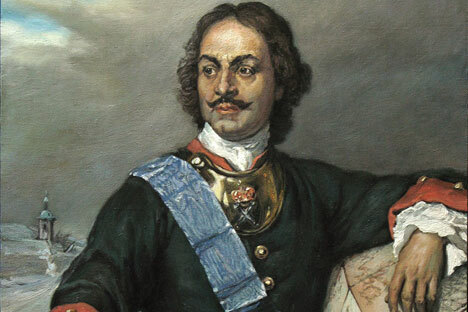 According to Orlov, Peter the Great met with French King Louis XV who was seven years old during the visit. The Russian guest was interested in French architecture, physics, military arts, shipbuilding, book printing and even tapestry weaving, he added. "The congress is set to promote the legacy of Peter the Great’s epoch and to develop cultural tourism," Orlov said.